Jin-Ho is a promising pianist, studying and playing abroad for years. But one night she han a stage fright and never recovers. In despair, Ji-ho comes home and meets her old classmate Sung-ryong. 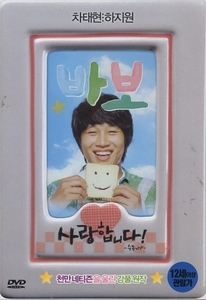 Once a very bright boy, Sung-Ryong had an accident and now he is in late 20s with the mind of six year old. He is very forgetful, but he has never forgotten his first love Ji-ho. Other half of Sung-Ryong's dumb mind is occupied with his only famliy younger sister Jee-in. To take care of her, Sung-ryong sells toasts in front of Jee-in's School. But Jee-in is embrassed of her idiotic brother and ignores him. And Sang soo is Sung ryong's old friend who understand Sung-Ryong's innocent mind. But he inevitably falls to world of gangster. Ji-ho is still in her slump, Jee-in falls sick and Sang-Soo gets involved in a bloody dispute. But all of their agonies are miraculously saved by Sung-ryong in a way nobody has forseen.